One of the most exciting things was the fact that I was able to celebrate the Acoustic Room sessions that have been held every Monday night at Rescue Rooms for the past 10 years. 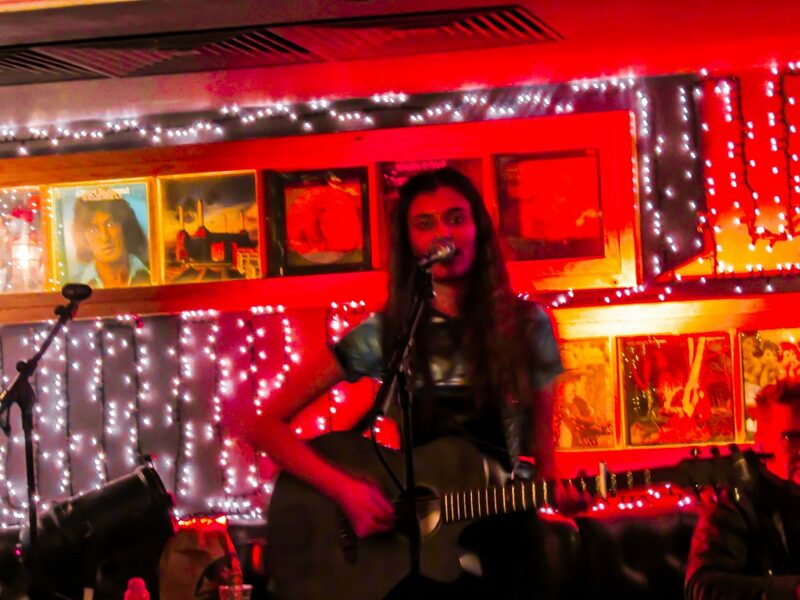 The Acoustic Room sessions give up and coming musicians, singers and songwriters the ability to showcase their talents for small crowds in their local area. To celebrate 10 years, they had an incredible line up which included Chloe Rodgers, Alex Milne, Adam Peter Smith, Sam Heaton & Laurie Illingworth, Mollie Ralph, Jonny Olley and Jaque Seviour. Along with these amazing performers, there was a 30 minute open mic at the beginning and end of the show for anyone who felt brave enough to stand up and perform. A few of us from Trent TV were actually lucky enough to go and get some footage from the event and were able to host some interviews with some of the performers. In conversation with Mollie Ralph, she mentioned that previous people to perform at the acoustic sessions in their early days included George Ezra and Dua Lipa, who have now gone on to be worldwide successes and she hoped to follow in their footsteps. Her favourite song to perform live is Etta James’ ‘At Last’ and has also just released her first EP called ‘Old Cafe’ with 4 singles, including ‘Old Cafe’ which has recently had the music video created for, due to be released soon. When asked why she performs at Rescue Rooms, she simply said ‘People come here to listen to music. They come because they enjoy the music. A lot of the other open mic’s and clubs in Nottingham don’t seem to understand that…’ We’re empowered by all types of music everyday, and to see and hear the locals performing is a wonderful thing because one you see them grow, you can remind them that you were there supporting them from the beginning of their career. I hope Rescue Rooms keep hosting the acoustic sessions for another 10 years and hopefully rise the careers of some more underrated singers, songwriters and musicians! Acoustic Rooms at Rescue Rooms takes place every Monday from 8pm. You can find more information here.